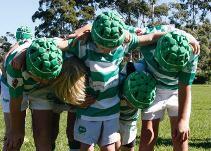 The Allambie Jets is a community focused Rugby Union Club for children between the ages of 4 upwards. Our philosophy is to encourage children into our fantastic sport through fun and friendship, with our nurturing coaches building on their skills as their confidence grows through our age groups. All children are welcome to become part of our club and our way of life! Register to play for the JETS HERE!!! Note that Under 6's play for FREE with the JETS. CLICK HERE TO READ THE INFORMATION BOOKLET BEFORE YOU START THE REGISTRATION PROCESS. Paladin Sports this year have designed some awesome new merchandise for the Jets. Its really simple to order your correct size, and pay online, the items will then be delivered straight to you. Take a look at this link to see the items available through Paladin and order your items online now. The Hybrid Hoody only comes in adult sizes. For sizing questions please refer to the link where there are size charts on each of the products. 2018 saw the club go from strength to strength with record numbers in our young and friendly club. Community focused, our players, parents and community sponsors have all played their part in our awesome season. 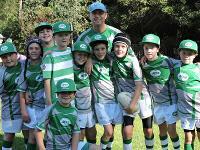 Whether playing rugby for the very first time, developing skills such as tackling as the players progress through the age groups, potentially being selected for representative rugby and most importantly having a great time with your mates at training and game day, this season has been memorable. And...our U11s taking the C grade premiership was incredible for the boys involved and inspirational for the younger age groups. WE'RE GREEN, WE'RE MEAN, WE'RE A RUGBY MACHINE! WE'RE WHITE, WE'RE TIGHT, WE PLAY WITH ALL OUR MIGHT! GO JETS, GO JETS, GOOOOOO JETS! Welcome to the Allambie Jets!